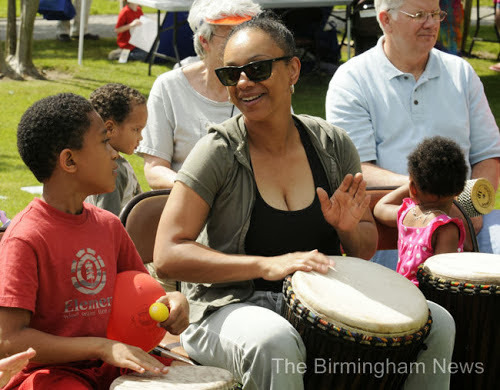 Did you know that Atlanta is home to some masters of west African drumming? These are folks who spent years and years in that part of the world, learning the craft. And, they've brought it back to Atlanta, and wanna teach it! How. Lucky. Are. We?! I've been to one of their performances. Primal and raw and soulful and energy and love. They remind you that you have a soul, and it wants to move. So, learn to play the drums today. The classes are kid friendly. So, grab your favorite son, daughter, niece, nephew, whatever, and head on over! It's held by DrumRise. Times are usually around 7-8p. Location changes some times. Currently it's at a private residence in Decatur. It's best to check the website when you plan. Note that you have to sign up at drumrise.net/classes, and that you have to let them know you are doing a drop-in class and that you need them to bring you a drum. ($20 per person for drop in. $75 for 5 classes).